Saiga-12 10-round DARK EARTH Magazine GEN3 (AGP) - "6-pack"
This is a "6-pack" of 10-round magazines in DARK EARTH COLOR for the Saiga-12 shotgun by AGP Arms, Inc. These are Generation 3 (GEN 3) magazines. 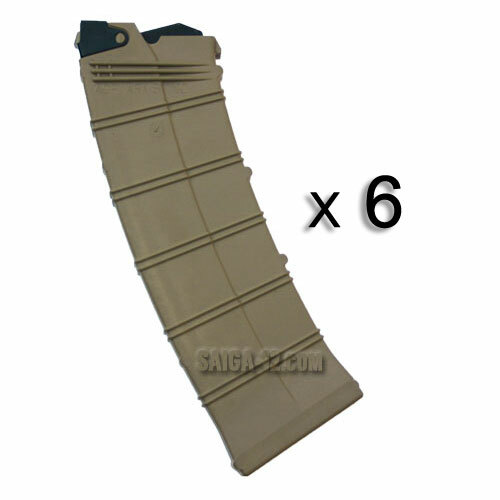 Saiga-12 10-round DARK EARTH Magazine GEN3 (AGP) - "8-pack"